UCL has been selected to be a founding partner in the creation of a new institute that will help Britain develop battery technologies that will drive the electric vehicle (EV) revolution. UCL is one of seven universities including Oxford, Cambridge, Imperial, Newcastle, Southampton and Warwick that have founded the independent Faraday Battery Institute backed with an initial £65m from the government. With a HQ based at Harwell, Oxfordshire, the Institute will shape a research strategy aimed at making the UK a global leader in battery technology, bringing together, guiding and supporting researchers throughout the country. The government wants to see the UK in the vanguard of the battery revolution, competing with the US, China, Japan and Korean in not only developing the technology but also in manufacturing, a market that could be worth as much as £50bn a year. Britain previously led the way in developing the first rechargeable lithium-ion batteries through the work of John Goodenough and colleagues at Oxford University in the 1980s, however, the technology was commercialised in the Far East and elsewhere. The UK is now in a strong position to be a world leader in this field, already manufacturing a quarter of Europe's electric vehicles and having Western Europe's only operational automotive battery manufacturing plant. UCL has been chosen to be one of the founding partners because of its expertise and facilities in battery research and technology through work led by Professor Dan Brett (UCL Chemical Engineering), Professor Jawwad Darr (UCL Chemistry) and Dr Paul Shearing (UCL Chemical Engineering). The seven partner universities account for the bulk of academic publications on battery research in the UK. Professor Ivan Parkin, chair of the UCL Faraday board and Dean of the Faculty of Mathematical & Physical Sciences (MAPS), said: "I am very pleased UCL is one of the founder partner universities. UCL has academics with a lot of experience in battery design and diagnostics, materials manufacturing and scale up (particularly for high power energy storage devices), coatings technologies, modelling and electrochemistry - all key component parts of state of the art battery research." UCL MAPS and Engineering will initially be in the forefront but Professor Parkin said other faculties and departments across UCL could benefit from being involved, from Economics to the Bartlett with its expertise in energy management. The £65m includes the cost of setting up the institute, funding PhD students and research money to be distributed to bidding universities. It is part of a £246m government investment over four years under the Faraday Challenge, a key element in the Industrial strategy challenge. Beyond the initial four years, it is expected that a significant amount of research funding will continue to be invested by the government in this area. The Institute will be headed by Professor Peter Littlewood, who ran one of the world's most successful battery research centres at Argonne Labs in the US and put together the US's equivalent institute, the Joint Centre for Energy Storage Research (JCESR). · Engaging industry to boost its links with research from boardroom to shop floor, to ensure research is smoothly translated into innovation and manufacture and to capture intellectual property in batteries. · Shaping and developing a strategy for research and bringing together researchers while balancing collaboration and competition with international groups. · Boosting training and mentoring to foster the next generation of research leaders. The Institute will allocate funds to a series of research challenge projects on a rolling basis. 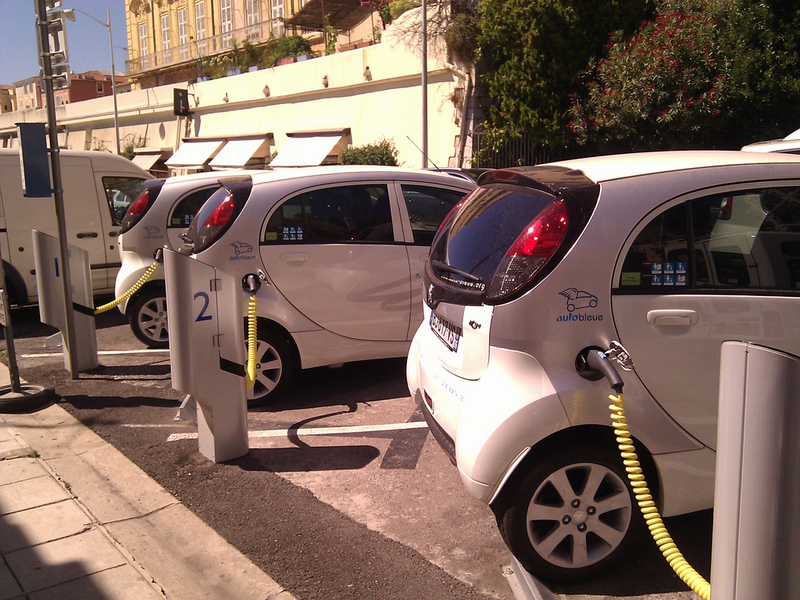 The first four projects will aim to extend battery life, design better battery systems through modelling, invent batteries for industry to allow longer driving ranges and improve recycling and re-use of batteries. It will also develop training schemes for all levels from PhD students and apprentices to professional development programmes for industry. Professor Brett said: "The Faraday Institute will be developing lithium batteries but also looking at the next generation in the next 10 to 15 years. It's about using different engineering practices to improve capacity and the safety and to lower the cost." He described the alignment between the Faraday Battery Institute and the Advanced Propulsion Lab planned on the new UCL East campus as sublime, providing the university with a chance to play a key role in developing the next generation. Professor Darr, who played a key role in developing the intellectual property and governance framework for the new institute, said that the various investments from government are designed to provide a framework from which we can take discoveries or knowledge from basic research and translate it up the technology readiness levels (TRLs) so that we can obtain the maximum value for the UK and for industry and the universities. "There's going to be a huge effort the first four fast-start projects, followed by other regular research challenge projects that span a breadth of topics to build a research base on batteries for the UK to build from," he said. Dr Shearing, who helped to coordinate the training strategy for the institute, said: "To develop a world leading battery industry in the UK will require significant numbers of new scientists and engineers. To address the skills shortage, the Institute will train the next generation of scientific leaders and champion the development of a battery national curriculum." The Institute will be managed as a non-profit organization with an independent board of trustees. UCL Business (UCLB) and UCL Innovation and Enterprise as well as back office staff were also involved in helping set up the institute. Michael Faraday (1791 - 1867) was an English scientist who gave us the terms anode and cathode. He was born in London where he remained for his whole career, conducting ground breaking work at The Royal Institution. He used batteries in experiments that led to the dynamo and electric motor, the very basis for electric vehicles.